Iowa star Megan Gustafson scored 24 of her 31 points in the second half, and No. 14 Iowa beat No. 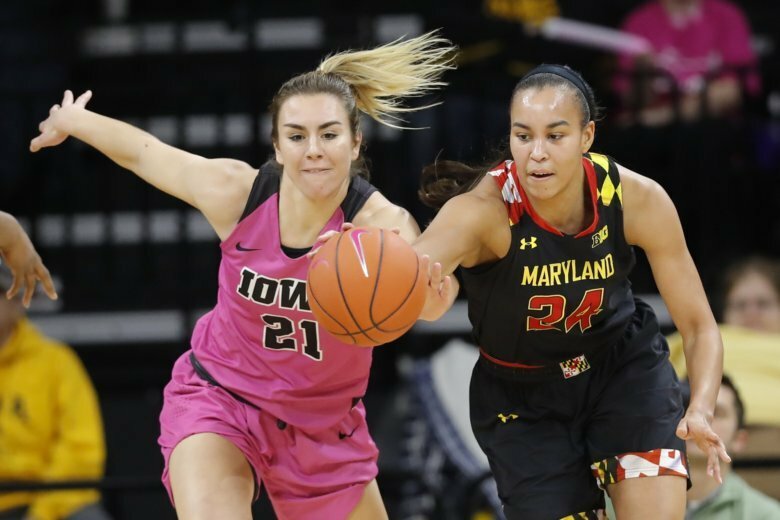 7 Maryland 86-73 to move into a tie with the Terrapins atop the Big Ten.